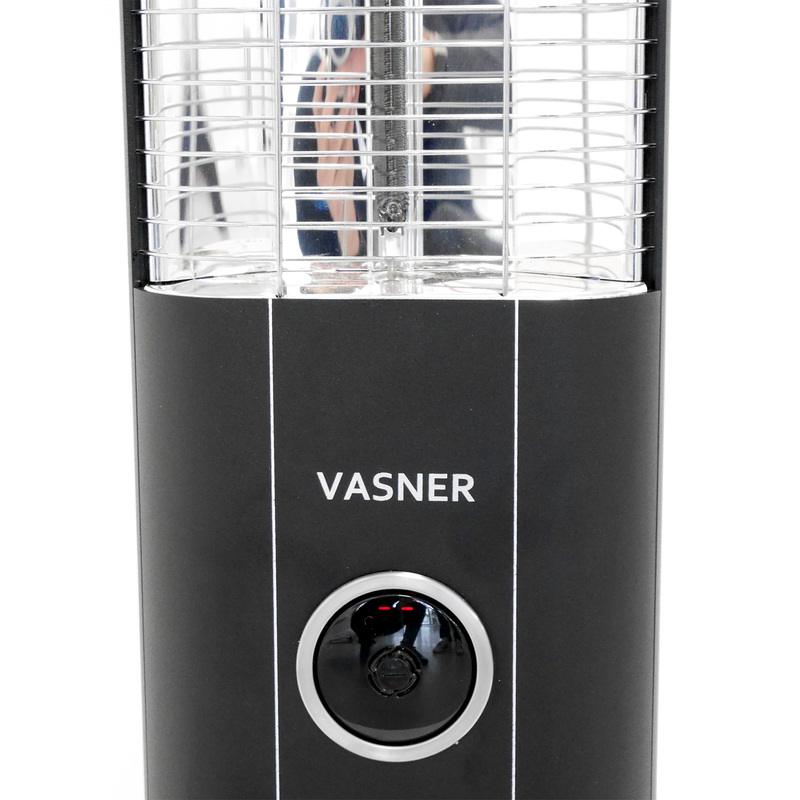 VASNER StandLine 25R – Free-standing infrared patio heater with the latest carbon technology. StandLine 25R – Concentrated carbon power for maximum efficiency and warm moments on your terrace or in your conservatory. 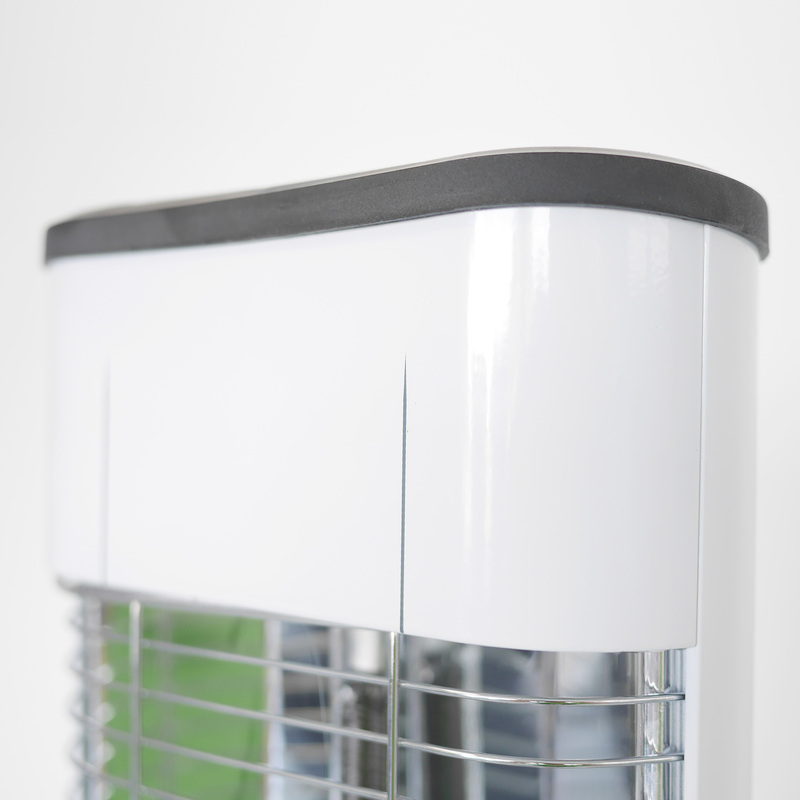 Sleek, classy and flexible – use your heater anywhere. 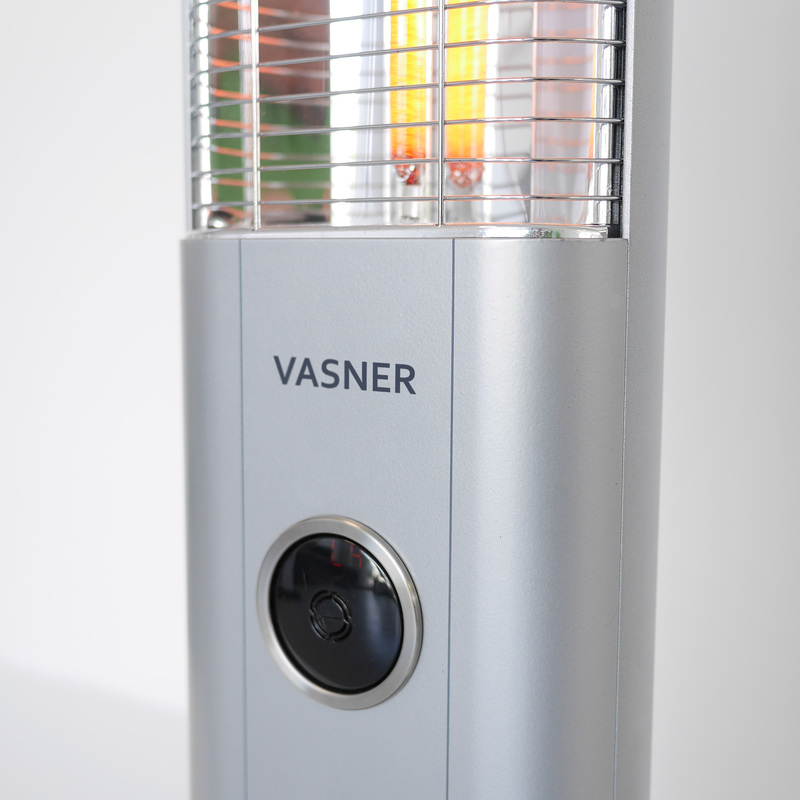 The VASNER StandLine is our new free-standing infrared heater featuring the latest carbon technology. Thanks to its particularly small dimensions and inconspicuous base, it can be used anywhere, even where space is at a premium. 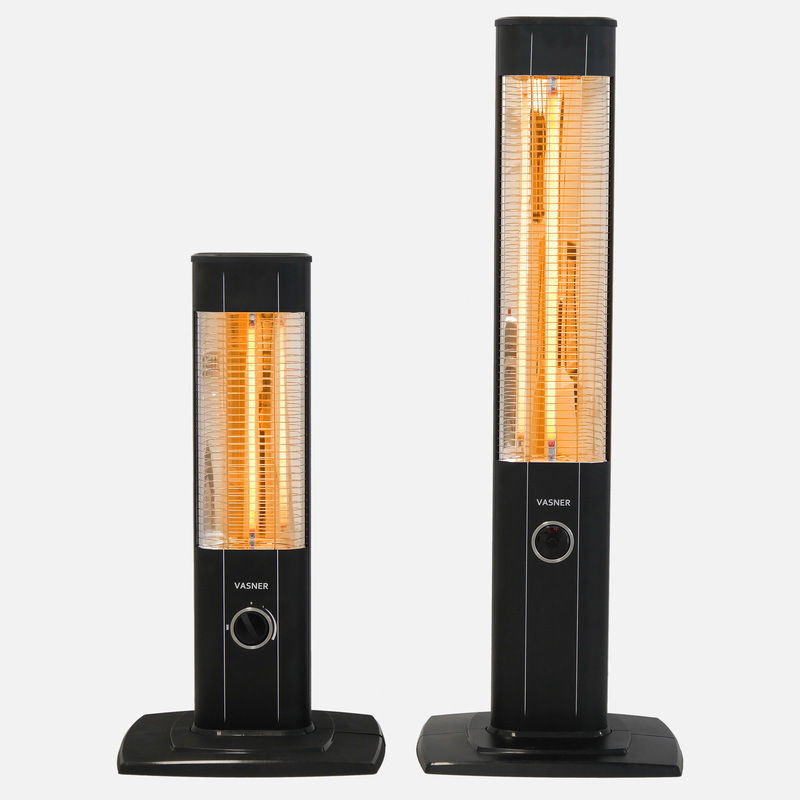 It’s hard to believe how powerful this small free-standing heater is – the latest generation of woven carbon fibres can generate significant warmth particularly efficiently. 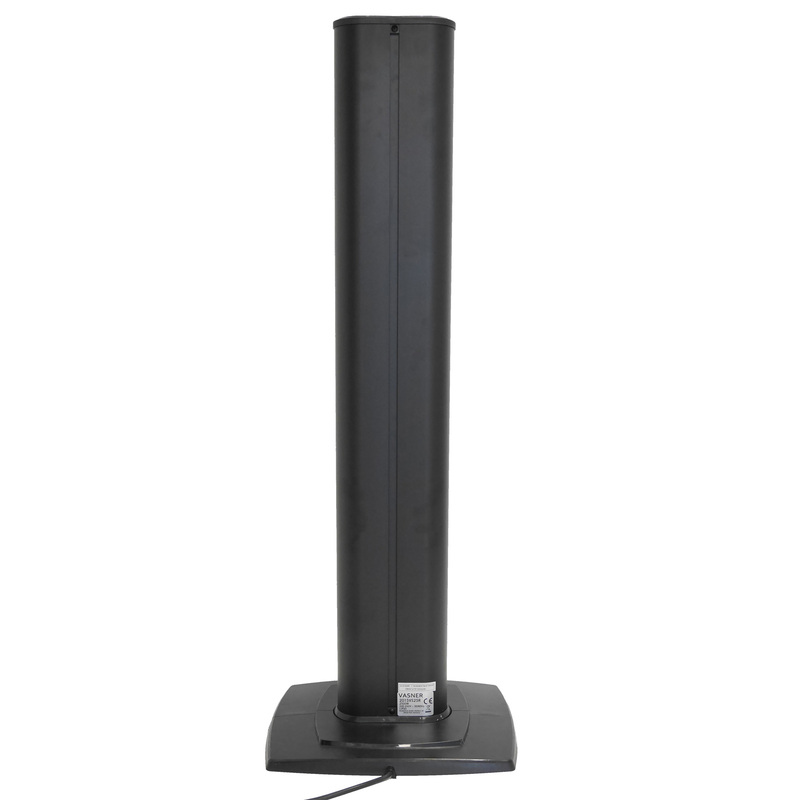 Thanks to its upright design, the StandLine is particularly suitable for use in corners or next to tables where there is little room. Whether it is at your desk, on the balcony, in your living room, in your mobile home/caravan or spending summer evenings on your terrace. 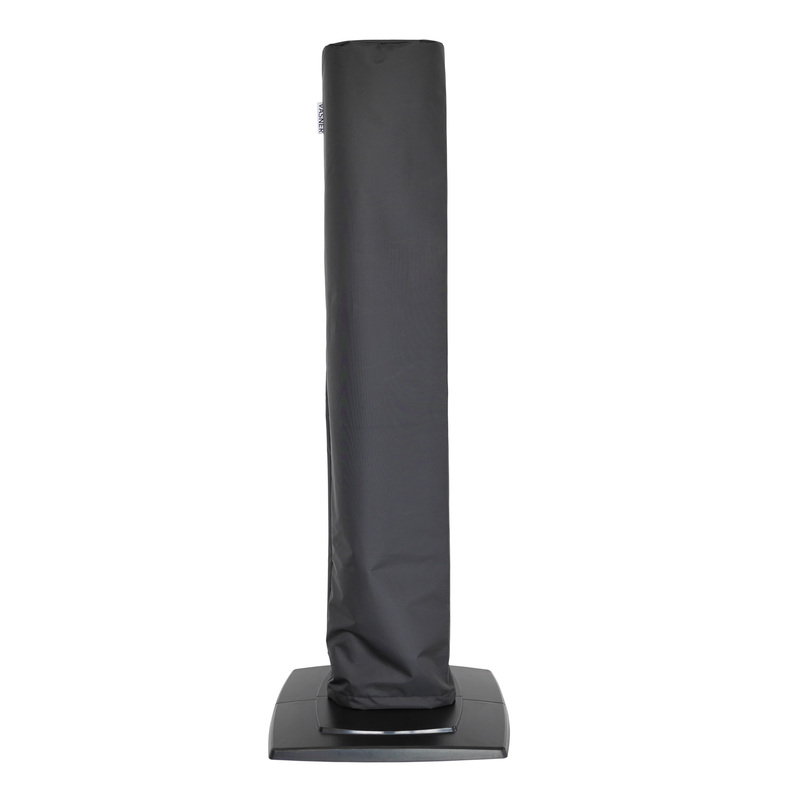 This allows the warmth to disperse across a wide angle and a large vertical area as the carbon bar is extra long. 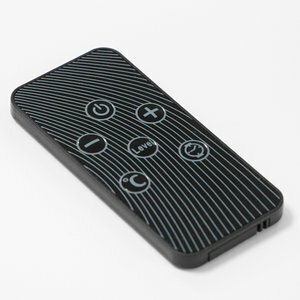 A simple design combined with the best technology help the StandLine to stand out. And with the new model colours in white, silver and black the StandLine 25R is the perfect addition to every terrace. 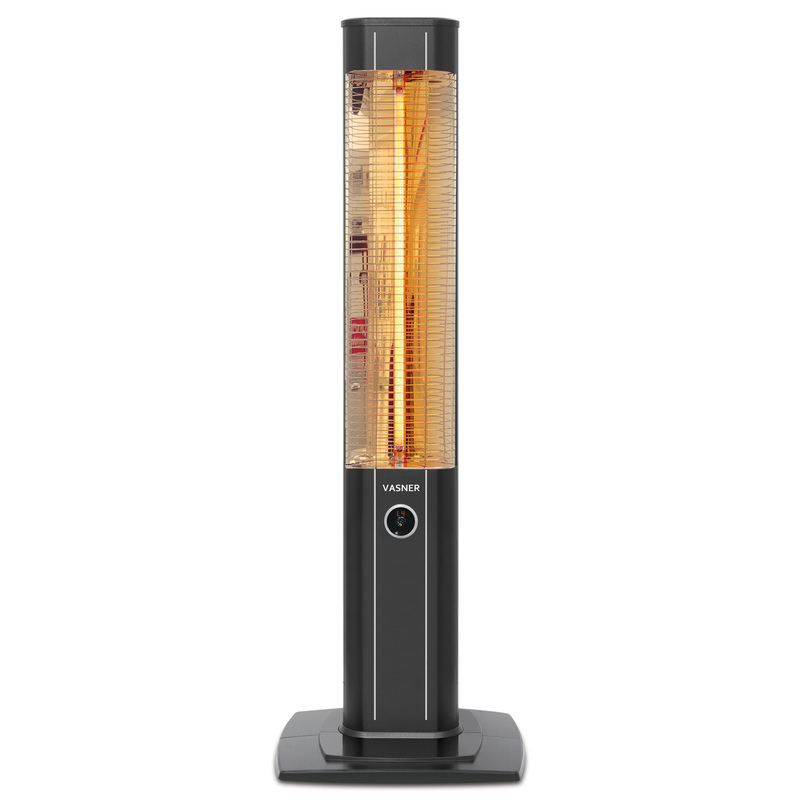 StandLine 25R Free-standing infrared patio heater with the best carbon technology. 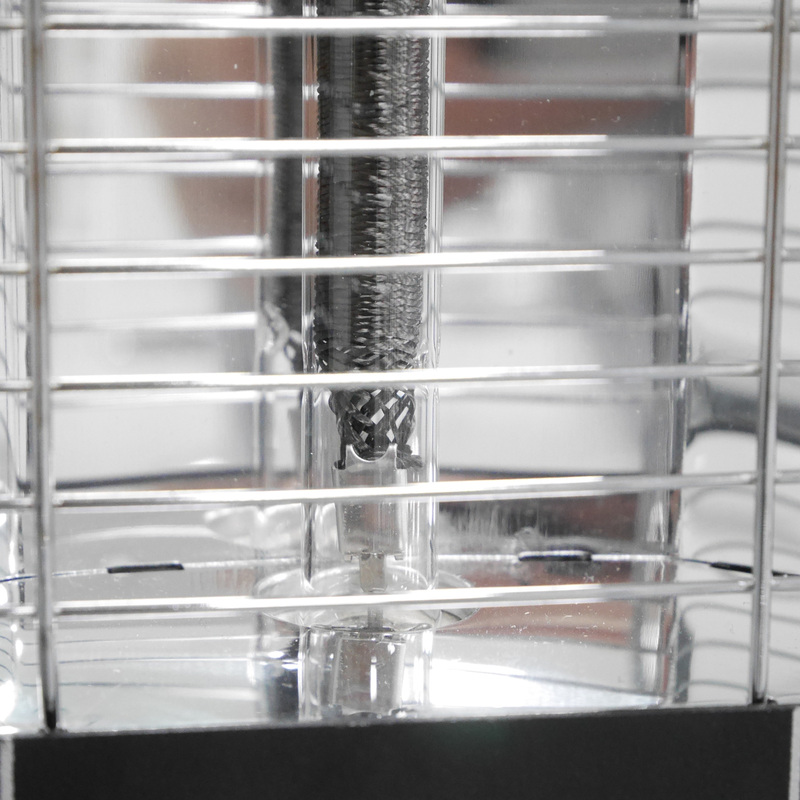 The delicate carbon fibres allow this small heater to generate a lot of heat. The longer bar also helps to evenly distribute the heat across a wide area. The long service life highlights the high quality of the infrared carbon fibre. 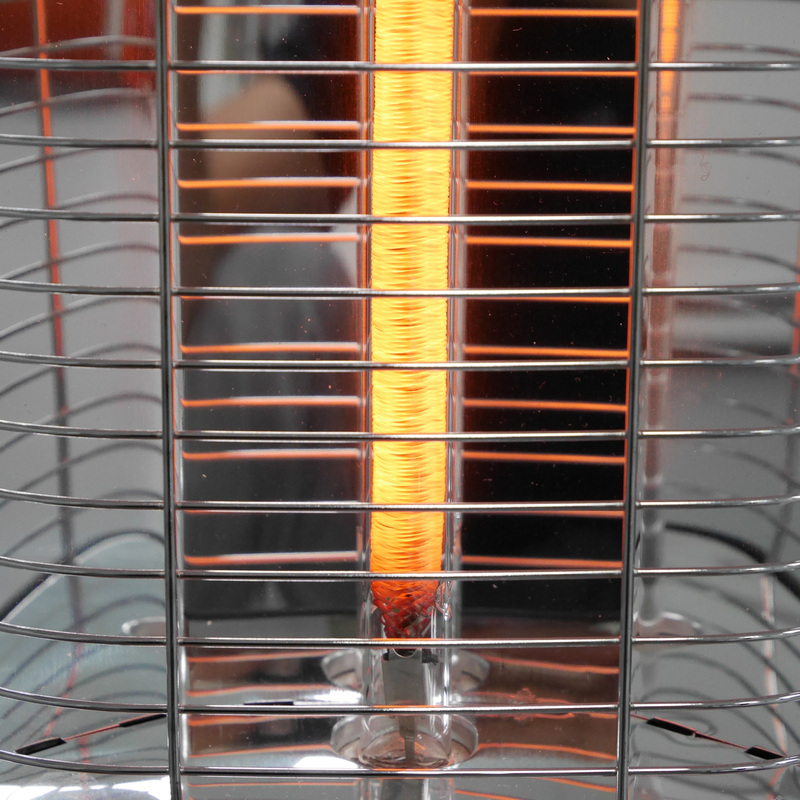 Even at the lowest setting when the fibres do not yet glow red, you can still notice significant warmth. 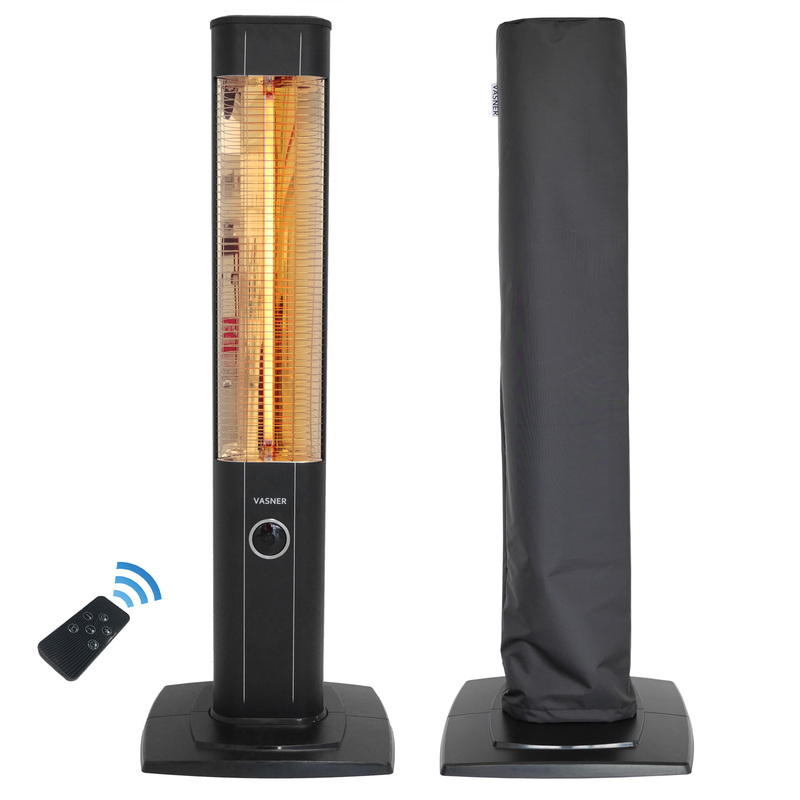 Easily control the beautiful StandLine heater using a remote control or directly via the switch on the front of the housing. This way, you will always be able to see which setting you have just chosen. 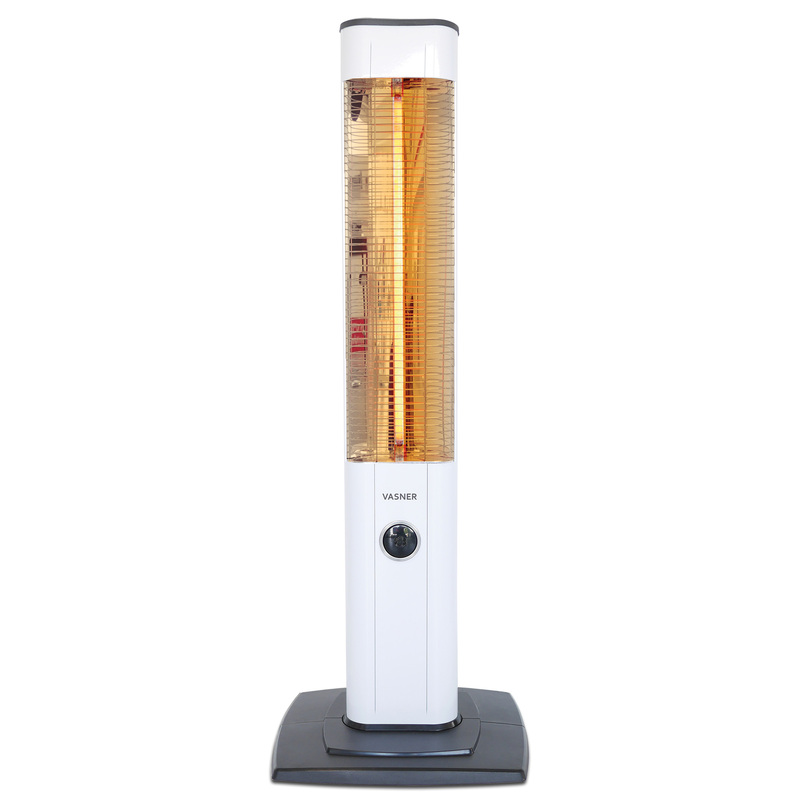 The StandLine is easy to assemble and plug in, and generates heat straight away. 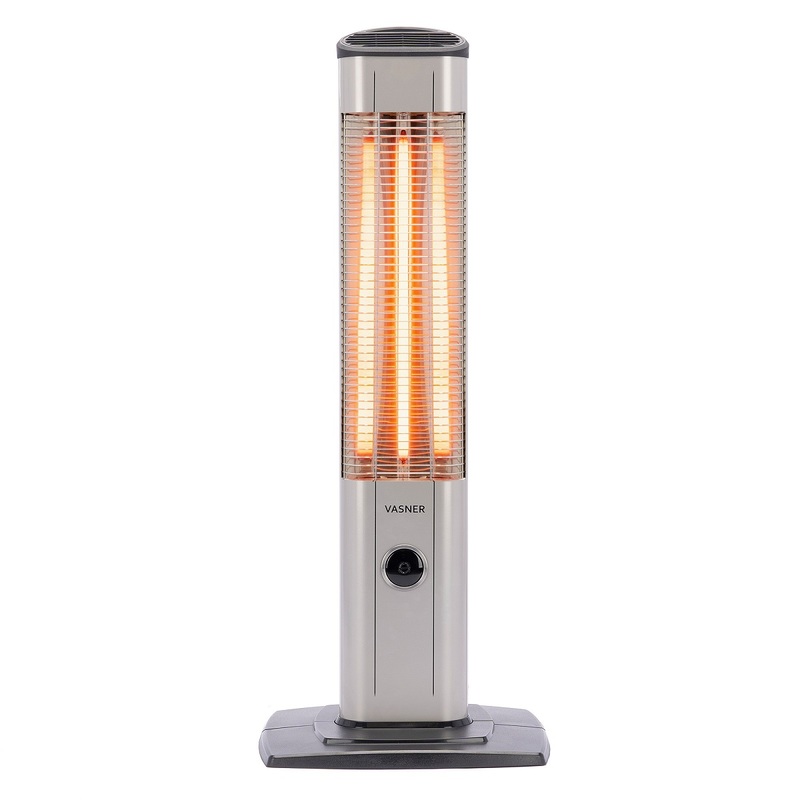 This means you will quickly start enjoying the StandLine’s warmth. 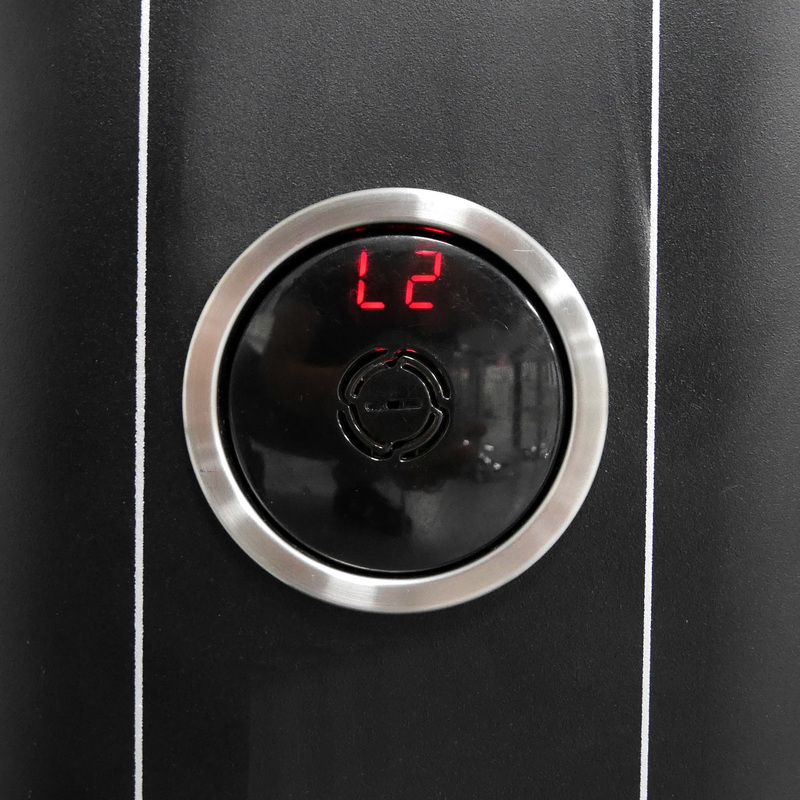 An integrated thermostat controls the desired room temperature for you. This means you can set your ideal room temperature between 10° and 40° and the thermostat will keep the temperature constant. 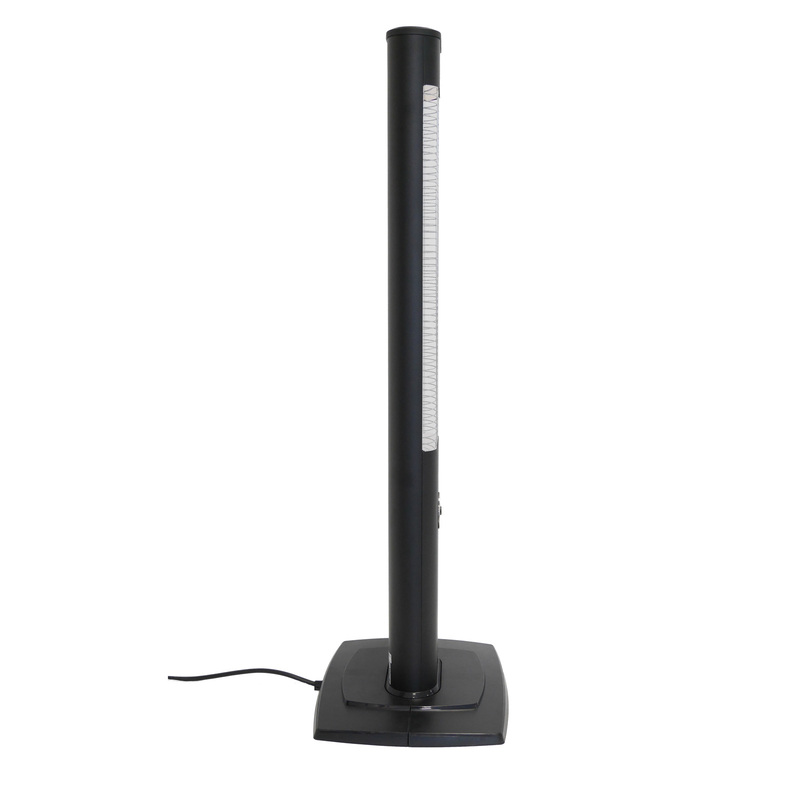 The StandLine carries out the measurements and heats the room flexibly. Or you could choose to set a timer, and your heater will switch off automatically after a set period of time. For extra peace of mind, should you fall asleep in front of the StandLine, it will automatically switch off after a while. 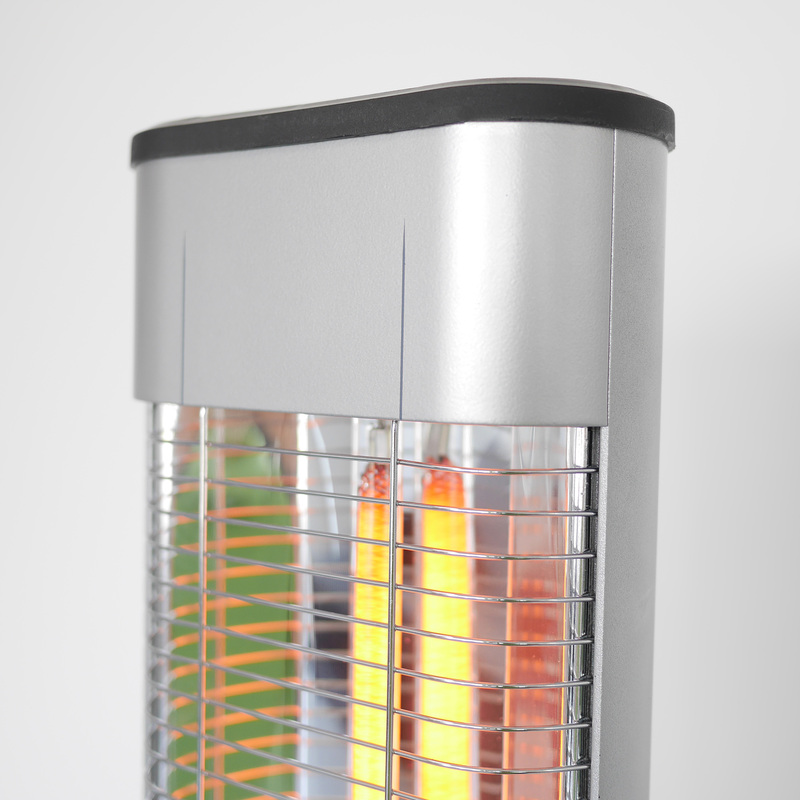 Should the heater overheat for whatever reason, the StandLine will detect this automatically and will then switch off for safety reasons. This offers you the reassurance that nothing will happen. 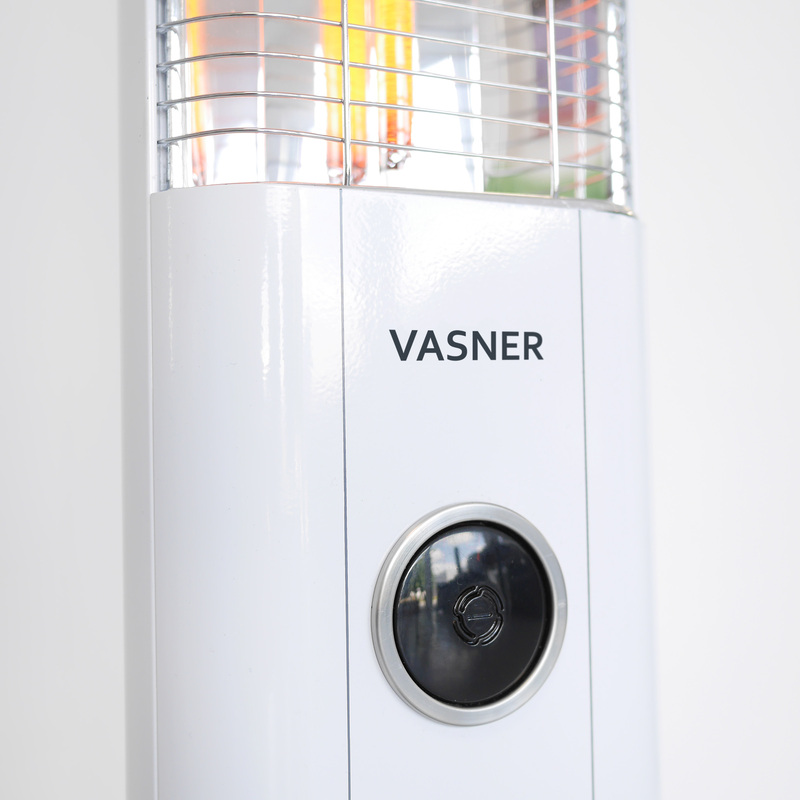 The new VASNER StandLine 25R – for when you need warmth and flexibility but space is at a premium.